During the second week of September, the altar servers who serve in our parish spent three days in a modern farm-house accompanied by Parish Priest, Fr Geoffrey Attard and Seminarian Joseph Attard. During this experience, they also had time to go swimming and walking. On the 16th of September 2014, the diocese of Gozo celebrated its 150th anniversary. The Diocese was established by Blessed Pope Pius IX through the bull Singulare Amore. Bishop Mario Grech celebrated Mass at 7.00 p.m. at the Cathedral Church. The priests of the diocese concelebrated. 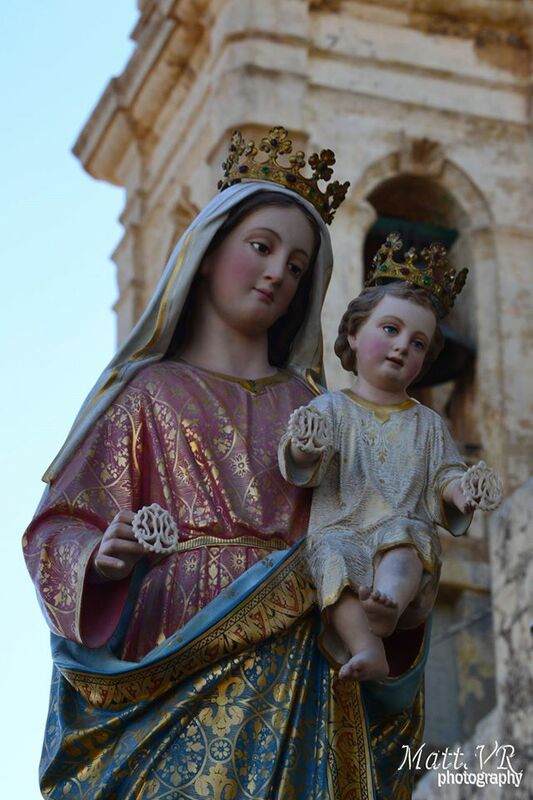 The feast of Our Lady of the Għażżiela took place on Sunday the 14th of September. The Mass was celebrated at 4.30 p.m and presided by Fr Richard N. Farrugia, master of ceremonies for the diocese of Gozo. The procession with the Santa Marija Band took place after the end of Mass. On Saturday the 13th of September, members of the Maltese Charismatic Renewal visited our parish church and led a prayer and healing service after the evening Mass. The celebration ended with Benediction of the Blessed Sacrament at 9.00 p.m.
On Thursday the 25th of September between 10.00 and 11.00 a.m. Mr Joe Fenech SDC will deliver a talk at the Sanctuary of Our Lady of Pompei in Victoria. Mr Fenech is renowned for his religious programme that takes place every Saturday afternoon on one of our local radio stations. The novena of St Faustina will begin on Wednesday the 23rd of September 2014. The feast of the saint will be celebrated on Saturday the 5th of October.